Hello and welcome to my blog. My name is Ashot Arakelyan, I’m a record collector. 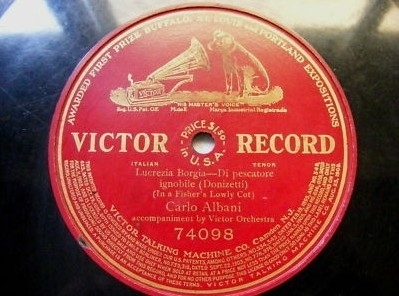 Here you can ORDER (Credit/Debit Card, Money Transfer Systems) BY MAIL A RARE CD TRANSFERS OF 78RPM RECORDS. Each CD contains 30 tracks - 15$+5$ (New Price) for Worldwide shipping, including post and packing. You can mix in one CD recordings of different opera singers. You will also receive photos of the singers and label scans of a records. CD TRANSFERS see under the articles about singers (RECORDINGS FOR SALE). Listen also audio samples. The site is always under update. He studied in Milan with Alberto Selva and made his debut in 1898 at the Teatro Argentina in Rome in ‘’Otello’’ as Cassio. 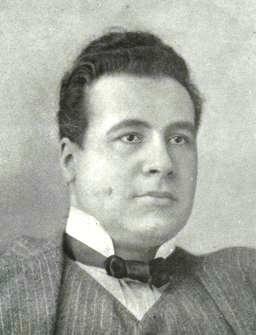 In 1902 Armanini made his second debut as first tenor in ‘’Faust’’ at the Teatro Dal Verme. Then he sang with the Castellano Opera Company during European tour. Later he appeared in the Italian opera houses, guested in Lisbon, Moscow and St. Petersburg and travelled around in 1907 South America. In 1911 he made his debut at La Scala in ‘’Il matrimonio segreto’’ of Cimarosa. 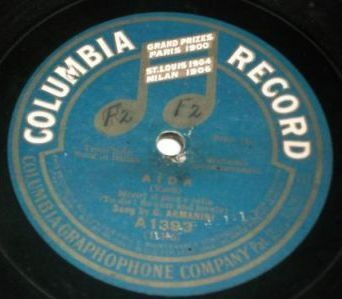 In 1911 he sang there in ‘’Fior di neve’’ of Filiasi. In 1912 Armanini again appeared at La Scala as Fenton in ‘’Le allegre comari di Windsor’’ of Nicolai, in 1913 he sang at the Teatro Massimo of Palermo as Alfredo in ‘’La Traviata’’. In 1911 he performed at Covent Garden, London. He died at the height of his career, one day after his 41-st birthday. He studied with the teacher Serafino Di Falco and probably made his debut in 1902 at the Politeama Verdi in Sassari as Cavaradossi in ‘’Tosca’’. The next year, he performed at the Teatro Dal Verme in Milan singing the role of Alfredo in ‘’La Traviata’’. 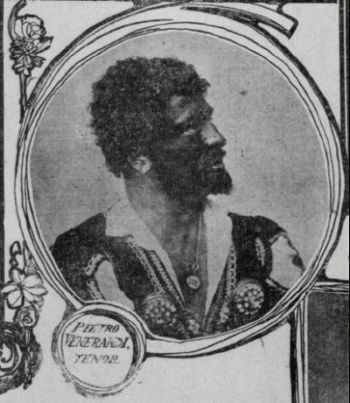 In 1905 Pezzuti made guest appearance at the Waldorf Theatre in London. Here he sang in ‘’Adriana Lecouvreur’’, ‘’Cavalleria rusticana’’, ‘’Fiorella’’ and ‘’Traviata’’. Then he appeared with success in Parma (Teatro Regio), Genova (Politeama Genovese), Malta (Teatro Reale), Napoli (Teatro San Carlo) etc. 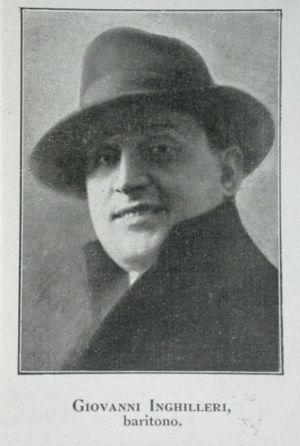 Pezzutti continues to appear in different italian opera houses untill 1933 making his last performace at the Teatro Alfieri in Asti as Calaf in ‘’Turandot’’. Probably he went to sing abroad only once – In London. He made his debut very young as comprimario. In 1908 he married the famous English pianist Nora Pitcairn. He studied with Enrico Delle Sedie and made his debut in 1901 at the Municipal of Santiago Chile in ‘’Aida’’. Very little is known for certain about Carlo Albani, a fact admitted even by Kutsch and Riemens in their authoritative Unvergдngliche Stimmen. It is sad that a singer of such obvious talent should now be remembered for an incident in which, following his having broken a contract with the Manhattan Opera, he was arrested on stage in Boston during a performance of Il Trovatore. 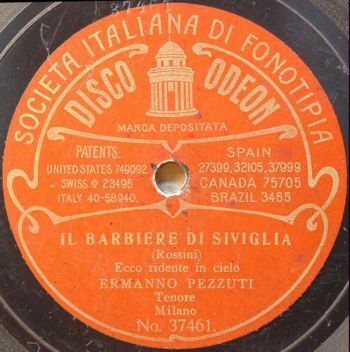 Apart from a few Red Victors, his records were made in Europe for Pathe, Edison and Odeon and appear to have had little currency outside their country of origin. In 1908 the tenor Carlo Albani was denounced by an impresario during a tour. 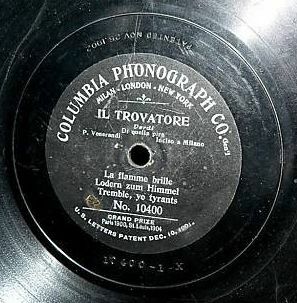 As he still had to sing as Manrico in Verdi's Il Trovatore, he asked to be imprisoned only afterthe end of the tournee: so he was allowed to sing, but under the surveillance of an officer.During the famous All'armi, the singer ran so hastily on the stage that the officer, fearing an escape, jumped on the stage and arrested him while he was singing the final high C.
He studied with Bartolini and made his debut in 1887 at the Teatro Metastasio of Prato in ‘’Faust’’. Already in 1894 he appeared at La Scala where he sang the role of Duke in ‘’Rigoletto’’. 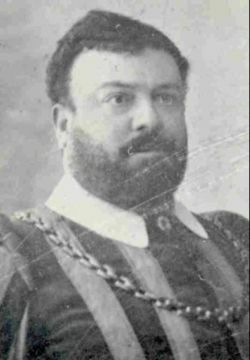 In the 1903-04 season he sang at the Teatro Regio in Parma very successfully as Alvaro in Verdi’s ’’La Forza del Destino’' and as Raoul in ‘’Gli Ugonotti’’. From 1909 to 1910 he was in North America where he belonged to the ensemble of the opera house of Boston; there he had as Manrico in ‘’Il Trovatore’’ together with Guerrina Fabbri important success, also as Radames in ‘’Aida’’ and as Edgardo in ‘’Lucia di of Lammermoor’’. In 1911 he undertook an America tour with the Lombardi Opera Company with which he appeared as Manrico at the Teatro National in Washington. 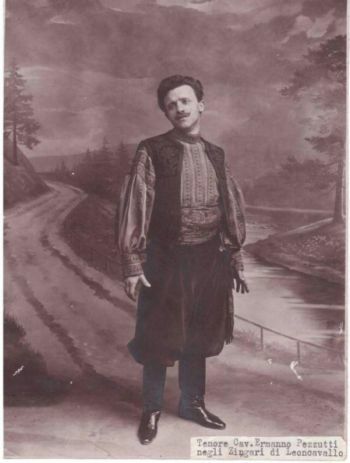 He sang the role of Manrico also in 1916 at the Teatro Costanzi in Rome. He was trained first as a pianist and discovered his voice while working as a repetiteur. 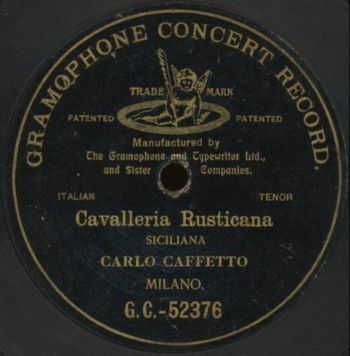 In 1919 he made his debut as Valentin in Faust at the Carcano, Milan, and then went on to sing with considerable success throughout Italy, at the Costanzi in Rome, the S Carlo in Naples (the first of many seasons in 1922, the last being 1948) and La Scala. He was enthusiastically received at his debut in Pagliacci at Covent Garden in 1928, and returned there for the next two seasons and again in 1935. 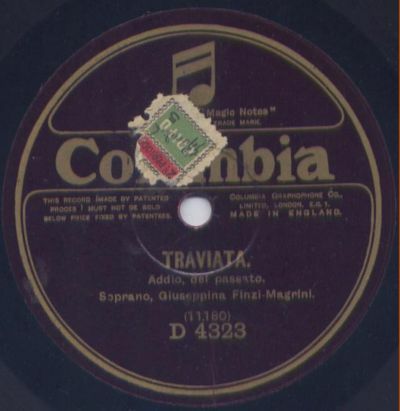 A highlight of his career in London was the 1930 Traviata with Ponselle and Gigli where his ‘steadiness of tone, flawless phrasing and ease of manner’ were commended as a model. 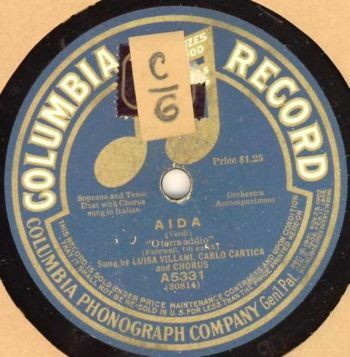 He sang at Chicago in 1929, and later in France and Spain. In 1936 he appeared in the premiere of G.F. Malipiero's Giulio Cesare in Genoa. 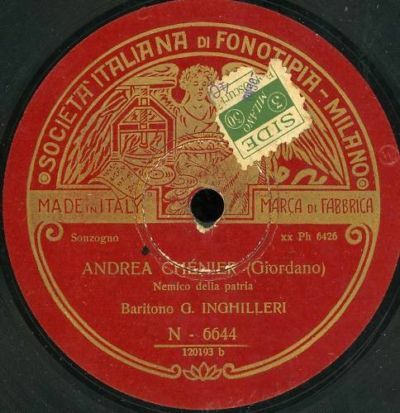 He continued to prove his worth as a musicianly singer (he was also a composer of opera, ballet and songs) until his retirement in 1953, after which he taught singing in Milan. Recordings show the fine voice and authoritative style that distinguished him in the 1920s; when he returned to the studios after the war, his style had deteriorated, though his tone remained impressive. 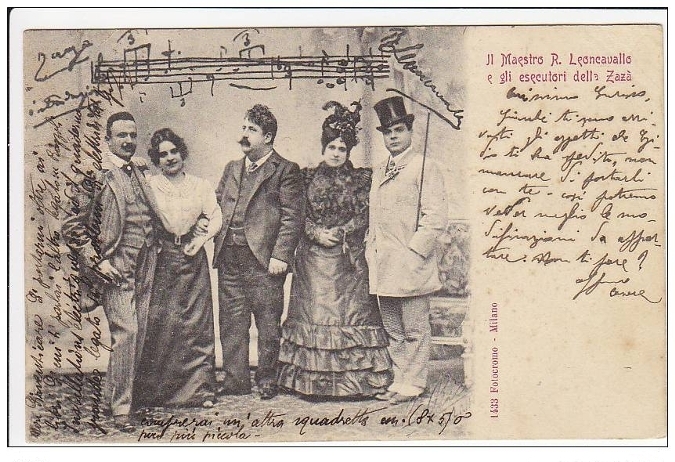 Probably he made his debut in 1897 at the Teatro Minerva in Udine as Turiddu in ‘’Cavalleria Rusticana’’. In 1902 he sang at the Teatro Comunale in Piacenza in ‘’Aida’’ and ‘’Ernani’’. In 1905 he appeared at the Italian opera in Holland. He also sang with success in USA. He retired from the stage approximately in 1912. She belonged to a famous Jewish family. She made her debut in 1896 at the Teatro Estivo at Thiene in Lucia di Lammermoor. She sang during the following years in Italy, Egypt and Greece and excited sensation by the beauty of her coloratura soprano. 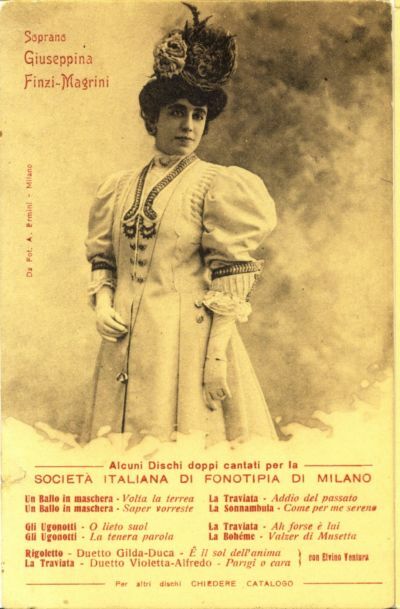 In 1900 she performed at the Teatro Verdi in Padua singing in ‘’Werther’’ and ‘’Mignon’’. Then successful guest appearances followed in Chile (1903), Alessandria (1906), Constantinople (1907) and Odessa (1908). In 1910 she sang at the Moscow Conservatory and gave there also concerts before czar Nikolai II. The same year Finzi-Magrini appeared at the Teatro Real in Madrid as Ophelie in ‘’Hamle’’ of A. Thomas). In 1915 she was at Rome, where at the Teatro Costanzi she sang the role of Gilda in ‘’Rigoletto’’. At the beginning of the 1920s her appearances became rarer. She devoted herself to her family and been active in Turin in educational area. During the Second World War she, completely impoverished, hid with several members of the family in a country house, close to Desio. After a search of this hiding place she suffered in October 1944 a stroke, after which she, paralyzed and unrecognized, seven weeks later died in the hospital of Desio. She was buried under a wrong name forgotten by all. One of the best french coloratura sopranos of the early 20th century Lucette Korsoff was born in 1876 in Genoa as a daughter of legendary russian baritone Bogomir Korsoff. 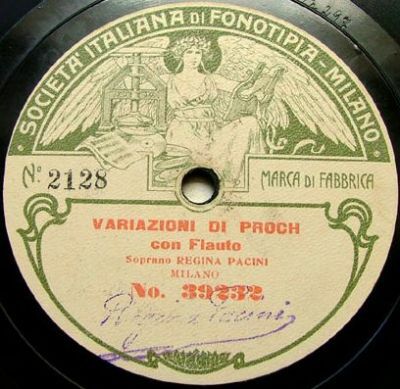 In 1892 she made her debut in ''La serva padrona'' of Pergolesi in St. Petersburg. Then she was trained in singing with Frederic Boyer and Rosina Lambord in Paris. In 1913 she took singing lessons from famous soprano Teresa Arkel. In 1897 Korsoff sang at the Opera Theatre of Liege, later she appeared in Cairo and Alessandria (1901) with great success in Thoma's ''Amleto''. 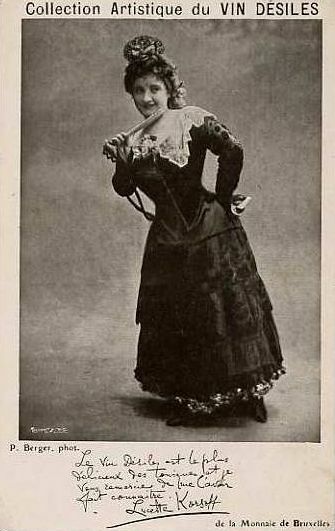 In 1901 she made her debut at the Opera Theatre of Toulouse. In 1903 Korsoff came for three years to the Opera-Comique of Paris, then in 1906 to the Theatre La Monnaie, Brussels. In 1908 she sang in Algiers, then again from 1908 to 1910 at the Opera-Comique. There she excited in 1909 big sensation in the role of the Konigin of the night in ''Magic flute''. In the 1910-1911 season she again appeared in Brussels, then she travelled around the USA and had in the 1911-1912 season great success at the Opera Theatre of New Orleans, from 1912 to 1913 at the Opera Theatre of Boston, in 1912 she gave several concerts in New York and also guested in the Court Opera of St. Petersburg. In 1913 she repeated study with Teresa Arkel in Milan. 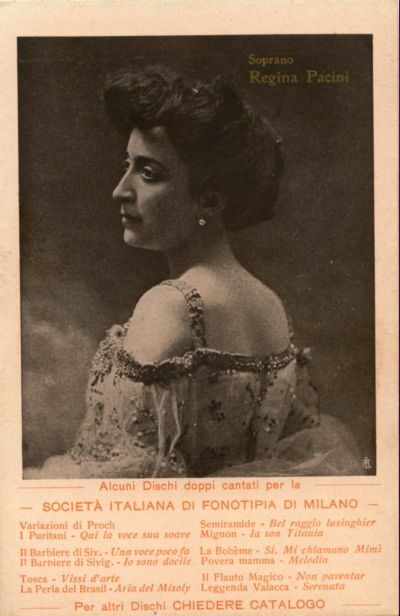 In 1914 she guested in London and then appeared in some Italian theaters. In 1918 Korsoff gave a guest performance at the Opera Theatre of Monte Carlo, where she again appeared in 1922 in ''Amadis'' of Massenet. In 1922 she finished her career and then lived as a pedagogue in Paris. One of her pupils was Gina Cigna. Since 1936 she lived in Brussels forgotten by all. She possessed voice of a warm, heart-felt timbre and a wide range, virtuoso coloratura technique and scenic talent. In her singing it's impossible to feel shocking routine, monotony of intonations and fears for a sound. Her father, Jose Pacini, was a well known baritone. She studied with the pedagogue Valani in Lisbon and made her debut in 1888 at the Teatro San Carlo in Lisbon as Amina in ‘’La Sonnambula’’ of Bellini. In Lisbon she soon attained the biggest popularity, till 1904 she has appeared over and over again with unusual success there. Many guest performances led her into different opera houses all over the world. In 1889 she appeared at the Teatro Manzoni in Milan, at Her Majesty's in London and in Palermo. At the Teatro Real in Madrid she sang from 1890 to 1905. In the 1894-95 season she made guest appearances in St. Petersburg and Warsaw, in 1899 at the opera house of Montevideo and at the Teatro Politeama of Buenos Aires. At Covent Garden in London she was admired as a partner of Enrico Caruso. After the turn of the 20th century she appeared at the Teatro San Carlo in Naples, in Florence and Rome and also at La Scala. In 1905 she was one of the stars of the Sonzogno season at the Thçàtre Sarah Bernhardt in Paris. At the height of her career she married in 1907 the Argentine diplomat Marcelo T. de Alvear (1868-1942), President of Argentina (1922-28). She retired from the stage and then lived in Buenos Aires; she took on the music life of Argentina big influence.